Cellulite—it’s a word every woman dreads. Who doesn’t despise those unsightly “cottage cheese” dimples that make you want to cover up when you should be showing off, especially in warmer weather months? Sadly, cellulite can affect women of all shapes and sizes, and often no amount of exercise can eliminate it. Aging, hormones and genetics all contribute to making cellulite more difficult to combat. For many years, creams and serums were the only cellulite reduction treatments available—until now! New! 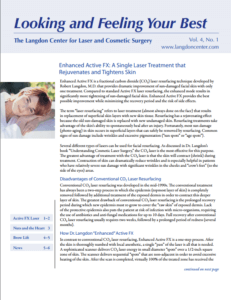 Cellulaze™ laser cellulite reduction is now available at The Langdon Center for Cosmetic & Laser Surgery in Guilford, CT, convenient to the towns of Hamden, North Haven, Branford, Madison, Westbrook, Old Saybrook, Clinton, Essex, New London and more. The FDA-approved Cellulaze procedure is a safe, effective and minimally invasive in-office procedure performed under local (awake) anesthesia. Cellulaze can permanently and dramatically reduce cellulite in just one treatment. During the Cellulaze treatment a tiny laser fiber is introduced beneath the skin through incisions that are so small that no stitches are needed. 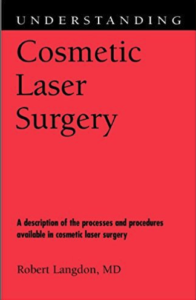 The laser fiber is used to level out bulges of fat, release fibrous bands that create the appearance of dimples, and stimulate collagen production in the skin for smoother, tauter and younger-looking skin. Following your Cellulaze procedure at The Langdon Center in Guilford, CT, you’ll only experience a few days of downtime; one to two days is typical. Results will appear and continue to improve in the months following your procedure. Curious about what Cellulaze laser cellulite reduction can do for you? Schedule your consultation today! Call 203-745-0340 or email cdyson@www.langdoncenter.com.